24 people enjoyed a B.B.Q. on Saturday the 17th of September at the home of Peter Dickie in Geffosses [North of Coutances]. 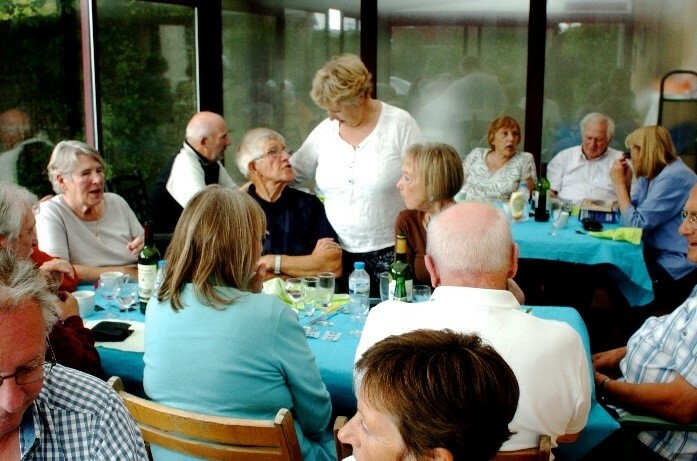 They had a selection of meats together with Salad & Vegetables and some very nice desserts [the desserts were not suitable for people who restricted calorie intake], copious amounts of wine were drunk and the event seemed to be enjoyed by everyone. The event was organised and happened to spread the word about Cancer Support France. Also the “weather gods” were kind to us, despite the fact that the attendees were seated inside in case of heavy rain which did not materialise. Peter was disappointed that because of limited space a large number of people were not able to attend; advertising had to be halted early. It shows the awareness of Cancer Support France in the area. 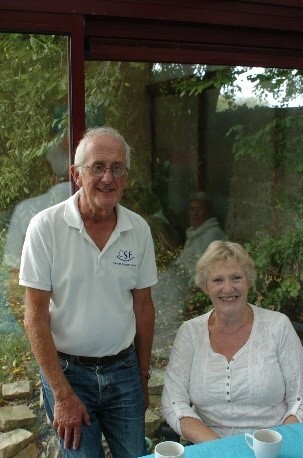 Many people who attended had had cancer and are keen to assist others. On 24th September, the Sponsored Knit took place, kindly hosted by Stephanie of La Maison des Beaux Cadeaux in Gorron. During the day a number of knitters came in and knitted for a time, assisted by supplies of coffee and cake. 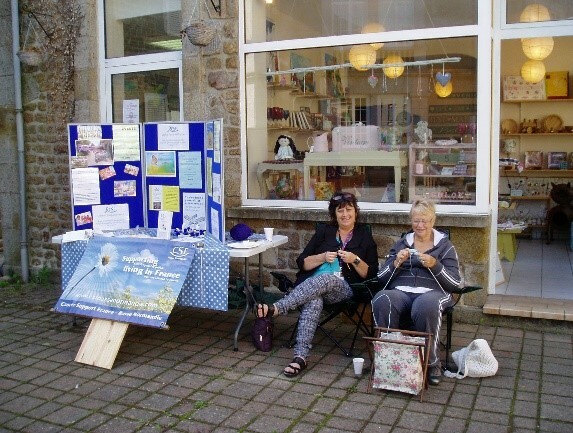 The Cancer Support France awareness stand was set up outside the shop, to allow the knitters inside maximum space. Those manning the stand saw it as an opportunity to take part, so were sat outside knitting, much to the amusement of passing traffic! People who were unable to take part on the day collected wool and were knitting at home. The French also entered into the spirit of the event and took part, either at home or came along on the day. So far, approx. 150 squares have been knitted and some already made into a blanket. Thank you to all those who supported the event, either by taking part, donating wool, sponsoring those who knitted or by making a donation.